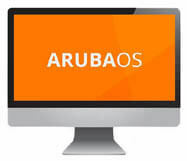 Thousands of global organizations across every major industry category have deployed Aruba's products to meet their campus wireless LAN, branch office, and remote networking, and network management needs. 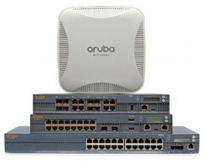 From the main campus to the home office to the mobile user, Aruba provides best-in-class products for securely connecting users to information and applications in the distributed enterprise network. 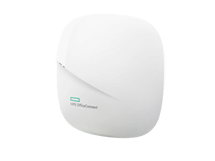 Aruba Instant virtualizes Aruba Mobility Controller capabilities on 802.11n access points (AP), creating a feature-rich enterprise-grade wireless LAN (WLAN) that delivers the affordability and simplicity of an entry-level Wi-Fi network. 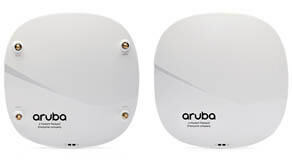 Aruba 802.11ac wireless access points deliver superb Wi-Fi performance – they can be deployed as controller-managed or controllerless Aruba Instant APs depending on the design, scope and scale of your wireless network. 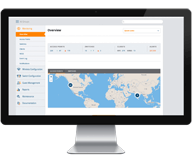 Strong network security everywhere users and devices connect - Policy Management, Policy Firewall, Intrusion Protection and VPN Services. Venues comes to life with location-aware mobile apps that provide indoor turn-by-turn navigation, contextual marketing, and a personalized guest experience.